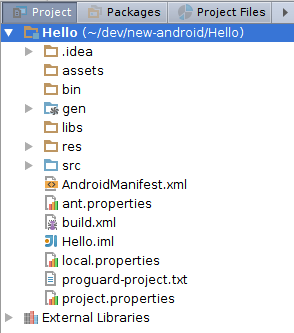 Years ago, on Eclipse Galileo and Helios, in 2010, I wrote some Android applications. This is me trying to resurrect that knowledge, but using Android Studio (IntelliJ IDEA). http://developer.android.com/sdk/index.html —can take some time to download (380940715) at work where things are slow. I got to reading around and dicovered that, if one's already using IDEA, there's no point to getting the whole Android Studio. 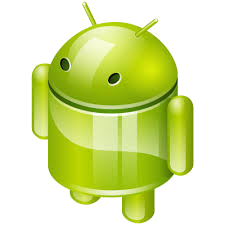 ...if you are already using this IDE before beginning to develop Android applications with it. File → Settings... → Plugins. Click Android Support if not checked already. Download the right one for your platform and explode it into your filesystem; see the Android Studio download page. This section includes how to get stuff set up except that it assumes you've already got Intelli IDEA and also the Android SDK download (not Android Studio, just the SDK). I already had IntelliJ IDEA installed and didn't want to download and install the whole Android Studio shebang. After all, Android Studio is but the community edition of IntelliJ IDEA. ...and click Android in the left pane. Give your application a name, Hello (if you're following the tutorial that's at this link: Android Video Tutorials. For Location, I'm using /home/russ/dev/new-android/Hello. This is treated by JetBrains on at IntelliJ IDEA 15.0 Help / Prerequisites for Android Development and there is a link reference to detailed instructions for Adding SDK Packages where you're told, first off, that by default the Android SDK does not include everything you will need. In short, this means that you will need to make some choices in this dialog. Important note: when this linked page says, "Tools directory" or "Android folder," etc., "directory" and "folder" really mean sections to be expanded with options to click on inside this dialog. As I found that Android SDK Tools were noted as "already installed", I selected Android SDK Platform-tools (already selected actually) and also Android SDK Build-tools. Similarly, under Android 6.0 API (API 32), everything including SDK Platform (as noted at the link just above) was also already selected (including the ARM system image). Under Extras, Android Support Repository was not selected (so, I selected it), but Android Support Library was. Don't dismiss this dialog just yet. I didn't know whether I would want the extra Google helps. In general, I do not like the idea of "extra" stuff and here, knowing that these Google extras will not be on all tablets and phones, I decided against the temptation to use Google Play services, but I did in fact select Google Repository for whatever use that will be to me (mostly because this page told me to. Next, I clicked Install X packages.... In my case, this amounted to 19 packages. However, an alert came up telling me, confusingly, about some dependencies which my selctions would resolve anyway. Really, this is an end-user license agreement and what it needs isn't intelligence in making better or different choices in the (huge) main dialog, it just needed me to click the Accept License button, then click Install. My host is pretty fast (i7 4GHz with SSD), but this took about 5 minutes. Ultimately, there was no button to dismiss this dialog except the close-window box. Back in the new-project wizard, I reclicked Project SDK: drop-down, but there was still nothing listed. I had expected to see Android 6.0 Plaform. Assuming that this was just some kind of bug, I clicked Finish instead, but an alert said, "An SDK is required for compiling, debugging and running applications, as well as for the standard SDK classes resolution." For Project SDK:, I clicked New, navigated to and selected ~/dev/new-android/android-sdk-linux, which was the explosion of android-sdk_r24.4.1-linux.tgz into my filesystem. Then, I saw Project SDK: "Android API 23 Platform (java version "1.7.0_67"). In Target device:, based on what I was seeing in the JetBrains tutorial, I selected "Emulator". I put a comment on this here. At this point, I returned to tutorial with the fast-speaking Italian narrator and finished it. I note that it's apparently no use to use a JPeG in the first exercise. I found one in Google images, a 3D Droid, but had to convert it to PNG (and I made the background transparent while I was at it). Drag the Plain Textview to the center (underneath the droid). fill in the Resource value: with something like "I'm so cool!". This string ends up on the path res/values/strings.xml. In Properties, expand padding and give all the size "10dp". For color (for instance), it's possible to introduce a new resource, just as we did for the text, and come up with some funky name like "greenMachine", with value #739C02, then reuse "greenMachine" elsewhere in your work. That way, you only have to change the value in one place to affect all uses. Similarly, create a resource name for large text that can be used here and there. by hand to the code to make this happen though I will not see this in the designer. Creating special preview versions aren't done at all the way the version of the designer he was using was shown. And, I'm interested in all of them, though I'm acquainted with the events thing. However, I'm tired of this and I think I'll move on to my friend, Lars Vogel. I thought I'd try out Lars' new tutorial. I once wrote a page like this one alongside his original Android tutorial, but that one's been lost. I don't know how useful those notes will be. Lars states that "Android tooling uses Gradle as [its] build system". This does not appear to be true in the sense that you don't have to if you do not want to. Maybe I'll discover this to be true anyway. So far, I haven't used Gradle and I certainly do not plan to. JUnit works, but it can't be used to test Android-specific components for which there are wrappers. I haven't done this tutorial yet. I want to make some observations on this. The list of SDKs I got (File → Project Structure → Platform Settings → SDKs) did not include anything like what the tutorial shows. For now, because I haven't set anything else up, I see only "Android API 23 Platform" (and no Android OS versions). When I did Tools → Android → AVD Manager, I couldn't see anything happen for the longest time. Ultimately, I discovered that the Android Virtual Device Manager comes up as nearly nothing, but an almost invisible booger in the top-left corner of my desktop, just under the menu bar (I'm running Cinnamon with just a top panel). I had to grab it and throw it open to see the list of virtual devices. Importantly, the instructor points out, by showing File → Android → Enable ADB Integration, that as long as this is checked, which it is by default, other Android debugging tools (he listed DDMS and Dalvik Monitor Server) cannot be used. There is no Draw 9-patch. Application, an Android application can have one Application class instance, instantiated as soon as the applications starts (and the last to stop when shutting down). Activity, the visual representation of an application; there can be several. Activities are the basis for the user interface. Context, connects to the Android system executing the application. AndroidManifest.xml, for configuring the application. /res/drawables, images or XML files describing Drawable objects. /res/values, definitions of strings, colors, dimensions, etc. via XML. (E.g. : /res/values/strings.xml.) Files that define the appearance of the application. /res/animator, definitions of animations in XML. /res/raw, arbitrary files saved in their raw forms to be accessed via InputStream. /res/menu, definitions of actions that can be used in the application toolbar. ...toward functionality I know I'll need in an application I'm considering.